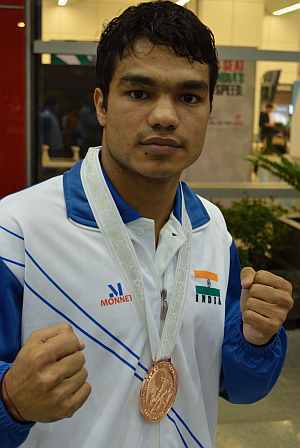 Indian welterweight Vikas Krishan Yadav will draw on all of his skill, discipline and determination to return from London with an Olympic medal and fulfill a promise he made to his father. "Father told me 'Get me a medal from London and I would not ask for anything from you again'. 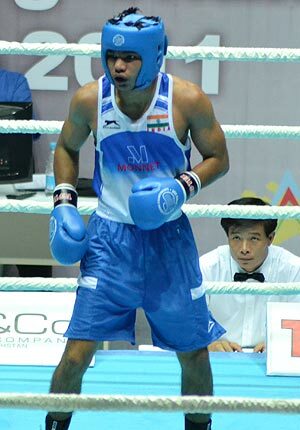 I, too, have promised him to give my best in London," the 20-year-old boxer from Haryana told Reuters. "I have always listened to whatever he says," Yadav said. Haryana has been steadily supplying the bulk of India's boxers, including 2008 Beijing bronze medallist Vijender Singh, and Yadav offers an interesting explanation as to why the area is a hotbed for pugilists. "People in Haryana are very hard working. There are not many rich people there, so a lot of people engage in sports like boxing. "People there like fight movies. We have that kind of culture in Haryana, naturally people are like that. People in South India like studying a lot, those in Haryana like boxing," he said. However, Yadav does admit to disliking some facets of the noble art of boxing. 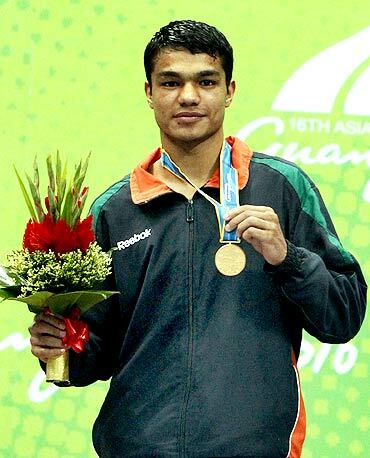 "Actually I don't like playing this game," said Yadav, who won the 60kg lightweight gold at the 2010 Asian Games before making the smooth transition up to welterweight. "I like to avoid the time in the ring because there you cannot be hitting all the time. You have to take some punches too, and no one likes that. I hate being hit," he said. Once he hangs up his gloves for good, Yadav is hoping to spend more time improving his chess skills. "I do like playing chess but now my younger siblings defeat me at the game. After I am done with boxing, I would like to try my hands at chess because there is no age-limit as such," the soft-spoken Yadav added. Realty sector: $3.2-bn PE exits in 4 years!